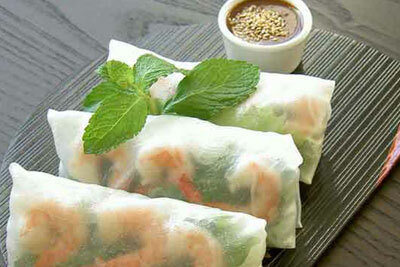 Introduction Viet Nam is famous for its cuisine with fresh ingredients and special spices. 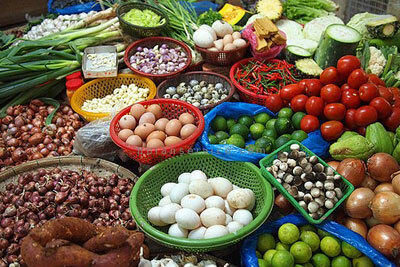 We offer this cooking class tour to bring to you many kinds of traditional Vietnamese food and some local dishes. At 8.30am, start the tour with our chef to the local market. While exploring the market, our chef will introduce to you the ingredients that are needed for the cooking lesson such as fresh vegetables, herbs, spices... As well, our chef also teaches you how to bargain and buy high quality goods. At 9.30 am, begin the cooking class at our restaurant. Firstly, our chef teaches you all the ingredients that used in the cooking lesson. The chef shows you how to cook Vietnamese local dishes before you cook the meal on your own. Our chef will explain the art of plate decoration. After the lesson, we enjoy what we have cooked. The cooking class finishes at noon. 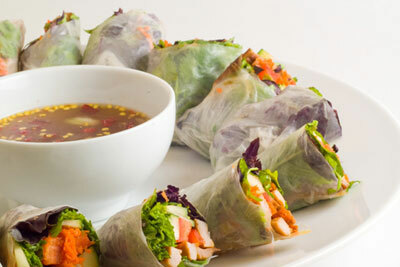 Menu: Spring Rolls, Lotus Rhizome Salad with shrimp and pork, Pan Cakes, Grilled Fish in banana Leaf with steamed Rice, Dessert.